You know the scene: you walk into a large, carpeted foyer with a huge nametag tugging at your neck, a little plastic cup of pink punch, and a stack of business cards to hand out. It’s time to network with this room full of industry leaders. But even if you have a slight to moderate case of social anxiety (don’t look at me! ), networking doesn’t have to be a stilted, awkward ordeal. 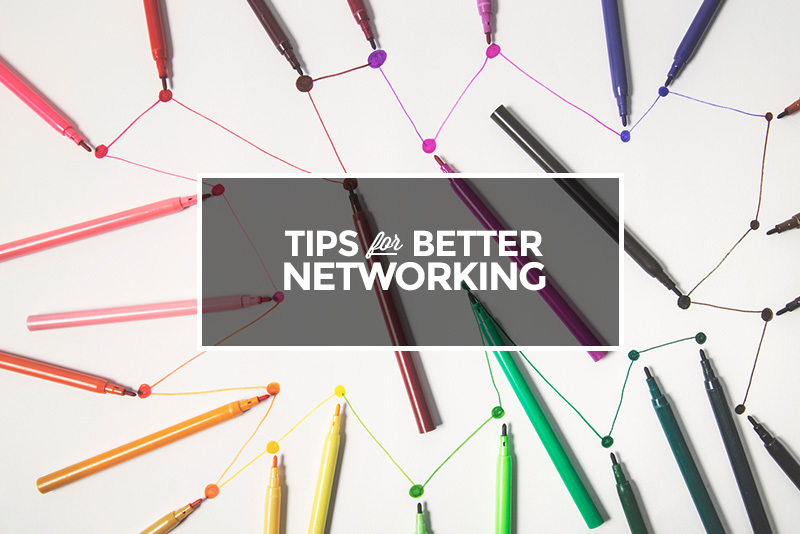 Networking can be everything from rubbing elbows at a conference to meeting a new acquaintance for coffee, or even participating in a Twitter chat. And I can speak from experience! In 2014, I got hired at Skillcrush…via Gchat. Last month, I got the chance to sit down and talk with speaker, author, and investor Kelly Hoey. 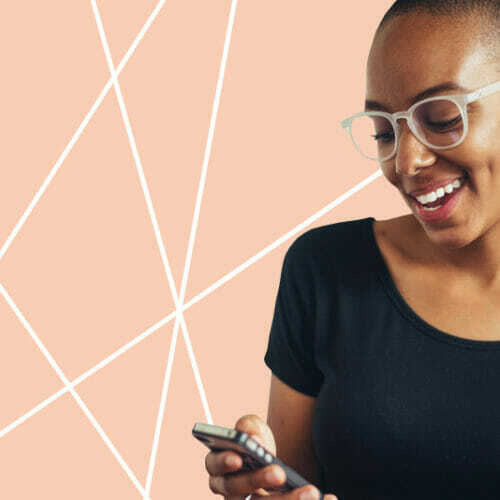 We talked about how to be a networking pro in an era where you can get hired (and fired) on Twitter, and all about the strategies she used to make her own major career change. 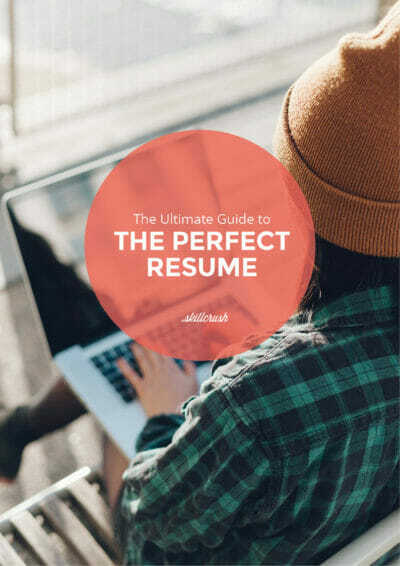 Our talk was part of the Skillcrush Land Your Dream Job Webinar Summit, a free 2-day web clinic packed with invaluable job search advice from expert guests. If you didn’t attend, I highly encourage you to take a look at what you missed and catch up on all the replays here. You can also get caught up on everything we covered by searching #DreamJobSummit on Twitter. Kelly’s webinar in particular was so valuable. (In the replay, you might notice me feverishly taking notes!) I learned all about how to handle awkward situations while networking, make connections even when you don’t live in a major city (or a city at all), use Kelly’s networking techniques to make a place for yourself when you’re new to a career field, and use your LinkedIn and online presence to build relationships with movers and shakers in your industry. 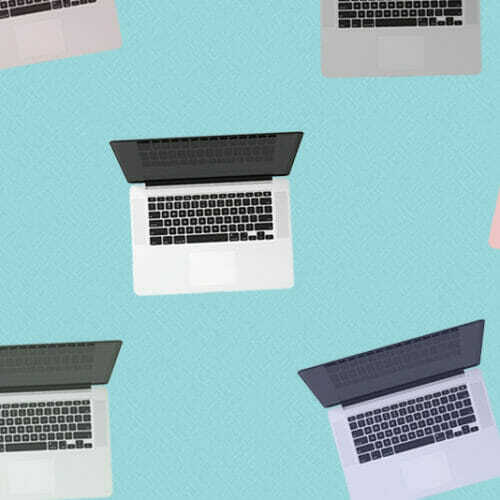 For years, I avoided networking (and all the sweaty palms and awkward introductions I thought it entailed), and I don’t want that to happen to you. Check out Kelly’s answers to your deepest worries about networking, and don’t forget to watch the replay of her live webinar here. 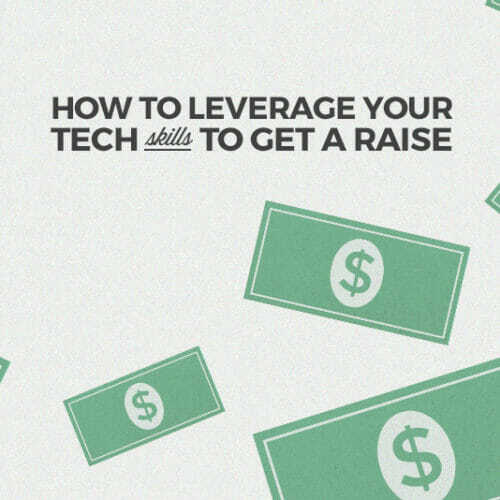 And (if that’s not enough) check out Skillcrush’s free ebook, The Ultimate Guide to Non-Sleazy Networking. In the 40+ page guide, you’ll get: tips for overcoming paralyzing networking jitters, a complete plan of action for conquering networking events, 3 done-for-you email templates for following up with new connections, and lots more! Kelly originally answered these webinar questions on her blog. And make sure to check out her site and go follow her on Twitter. Reach out and tell her how you found out about her! What’s the career you’re dreaming of? Are you seeking higher pay? More flexibility? A more collaborative work environment? Document your ideas and ambitions, whether it is on a vision board or spreadsheet—then sit back and examine what it tells you. My guess is you know what you’d like your next career story to be! And here’s why you need to do some self-reflection and research before you start networking to change careers: it is easier to ask for help—and you’ll receive better advice—if you know what you want (or at least the direction you’re headed). My guess is you’ve got a lot of valuable skills to offer someone if you’ve been bootstrapping your own business. What are they? Then think about the types of employers/companies who could use your particular talents. Sell your skills and experience—don’t focus on your lack of a degree. 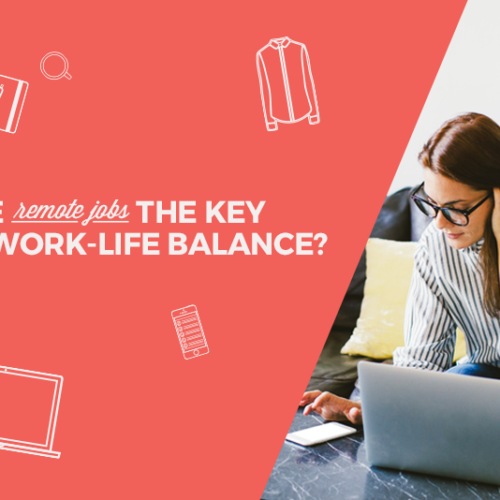 Take a look at temp firms and freelance opportunities to help you land a role. In addition to the suggestions I made to Julissa, communicating around holidays and special events is an old-school way of staying in touch. Take a look at Red Stamp, they have a great selection of cards which can be personalized and sent online (for free) or you can pay to have them post it for you. And let me say, the fact you are planning ahead on the ways to stay in touch with your existing network simply makes my day! My first thought is “why are you worried about your colleagues”? Generally, these are some of the best people to help you find new work. That being said, simply go into “Privacy & Settings” and turn off your “sharing profile edits” notification. Get online, polish up your online profiles, and start reconnecting with you past colleagues and classmates. They may be equally responsible for fading away and more than delighted to reconnect with you. And don’t overlook the network you’ve made being a stay-at-home mom. Have you chatted with other parents about topics other than kids or school? If you haven’t, now is the time to start, as you never know who can use your skills or services. Don’t forget to lean in to your college alumni community, too. And your idea for a mock-up for an improved website for your kids’ school is genius! Be sure to link to it in your social profiles! Check with your school in the UK—who can they connect you with? (Peers, colleagues at U.S. educational institutions, plus, most importantly, alumni who may be in California). Ouch! I hate to think the industry is so “me me me” and doesn’t reciprocate. That’s a big challenge. Think about the ways you can stay true to your values and help those in the industry get more of what they want. For example, nominate someone for an industry recognition or promote their event via your social channels. Are their committees or projects you can work alongside them with, so you can get to know each other in the course of achieving a common goal? Aligning of interests may be a way to get them to reciprocate. One contact at a time, and by bringing who you are offline to your interactions online. If you’re looking to grow your work connections, focus on LinkedIn. You may also want to look at networking opportunities with the niche communities building their networks on MightyBell (Skillcrush has a group). Aim to create multiple touch-points to stay top-of-mind with the connections you make: follow them on Twitter or Instagram, connect on LinkedIn, sign-up for their newsletter or comment on their blog posts. And when the opportunity presents itself, jump on Skype or Facetime instead of messaging or emailing, and deepen your connection with that [online] face-to-face conversation. This is where online platforms come in so handy—you can see and watch what other people are doing, something we tend to forget when we’re busy posting selfies and tweeting madly. Take the #DreamJobSummit webinar as an example. By posting questions during the video, you were networking! You (and everyone else) also had the chance to engage with each other by using the chat feature. You may also want to consider posting updates regularly on some aspect of your life abroad that your global contacts would find intriguing (food, culture, arts). This could be posted online or sent to a close group via email. My strategies are equally applicable (and adaptable) for you (see my answers to Augustine, Julissa, and YS). I’d simply suggest ensuring there is some face-to-face online networking in your regular communications. Leverage Skype or Facetime or G+ Hangouts versus simply taking a conference call or faceless online meeting, whenever you can. You are (like many of us) living the “slash” career. You’re not just doing one thing—and in the new economic reality, I believe this is the norm. I see you as a creative who is expressing your talents on stage and in code. Embrace it! And here’s an article on the “slash” career phenomenon that may help too. Not complimentary, as in completely different? If that is the case, check out my answer to Christy on embracing the slash career. If it is a question of highlighting a side-career with a part of your network you’d rather not share it with, see my answer to Andrea, regarding LinkedIn notifications. 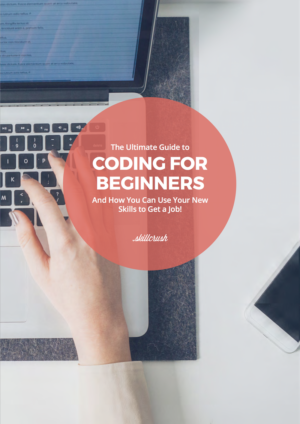 You may also want to consider getting coding work referrals through an agency, platform, or other source (friend in the tech world) so you don’t have to directly advertise your services. You never do know, so it’s best to keep an open-mind versus a transactional mindset when you’re networking. That being said, know your values! You may meet someone who appears to be able to help you, but if their value-system isn’t aligned with yours, it is not a worthwhile connection in my book. Keep it polite and honest when you’re exiting a conversation (we’ve all had moments at a networking event when we’ve been stuck talking to someone for too long). Simply saying something along the lines of, “I know we both are looking to meet more people at tonight’s event, so let me say it’s been lovely chatting with you and I hope you enjoy the rest of your evening,” should aid you in exiting gracefully. Absolutely not! Get started now! The people you meet right now may help you as mentors and be leads for projects or assignments down the road. I’m sorry you had to leave a job you loved! But that is exactly what you focus on and highlight when you’re in an interview. Talk about projects, deliverables and other than a “the work culture was not one where I could succeed” steer the conversation to how your past work experience can help the company you’re interviewing with. Research! Research! Research! Do your homework and understand why that career or industry is interesting to you, before you walk into the informational interview. An informational interview should not be the initial starting point for exploring a particular role—its purpose is to provide additional information or guidance. You should always know WHY you’re spending your limited resources (time, energy, money) to attend an event, because then it is an investment in your career and not simply a cost (or waste of time). I’d suggest writing down what it is you’re looking to achieve – what’s your goal (immediate, short-term, and longer-term)? Then reflect on whether the events you’re attending are helping you attain your goals. You may need to research other events or networking groups to participate in. You could discover that you need to double-down your efforts with a particular group. As for cost savings—always look to see if there are discounts or volunteer opportunities! On top of all the other suggestions to the questions I’ve been asked (which apply to you too) check out Freelance Friday! It’s a monthly co-working meetup for independents, creatives, and entrepreneurs. In the digital era, a business card is still relevant! For me, it is a reminder of a conversation, a face, or handshake. I just ordered a new set of business cards from Moo.com as I know I’ll be at a number of events in the coming weeks, handing them out. My suggestion is to ensure your cards reflect your brand. That is, is the quality of the card reflective of the quality of your work? Networking is about building relationships, not just landing a job. Think about the ways you can help the people around you and the ways you can communicate with them, simply to stay in touch (see my answer above to YS). If you’re not looking for anything right now, focus outward. How can you help the people who have helped you in the past? I received an “I hope I didn’t offend” email last evening, so my advice is to simply apologize politely and honestly for the misunderstanding! You definitely want to clear the air with the person you may have offended and you don’t want to unnecessarily carry around a bunch of angst. We all make networking mistakes, so don’t torture yourself over this. They are right here on my tip list. Your email or voicemail may be the first networking contact someone has with you, so record or write your message in the manner you’d like to be remembered. Warm and friendly? A tenacious hustling entrepreneur? Are you on my mailing list? Sign-up for Build Your Dream Network updates as well as events and my insights on networking, connecting and other stuff. It could, but then again, maybe not. Why don’t you take some post-it notes, write down your title, responsibilities, and other keywords, and play with possible LinkedIn titles by flipping the order of the post-it notes around? Realize what you call yourself and how you choose to present yourself to the world is in your control. Check out my LinkedIn tips for tips on creating a strong profile. If you’re just starting to build your profile, a strong suggestion: look at the profile sections on LinkedIn (experience, languages, honors/awards, projects, organizations, volunteer) then plan what you want to say in each of those sections by creating a word document you can edit, spell-check then copy/paste into the appropriate sections on LinkedIn. You want to give your profile some thought and not leave it half-completed online. I love Twitter! I think of it as a cocktail party and I try to be the good guest who gets invited back. That’s my best tip. And realize that getting followers comes from showing up at the party. I’ve been on Twitter since 2009. I write a column on Inc.com. I have an interview series “Founder Focus” on MyTurnstone. I also write a weekly newsletter “Innovator Insights”. Here’s a recent edition and here’s where you can sign-up for it. To get more of Kelly’s tips and hear her talk about her personal career transformation, watch the webinar replay (and catch the other speakers from the Skillcrush Land Your Dream Job Summit). And don’t forget to check out Skillcrush’s free ebook, The Ultimate Guide to Non-Sleazy Networking. You’ll get a 40+ page ebook that includes a list of foolproof networking dos and don’ts, strategies for EXACTLY how to leverage social and other online networks in your favor, a roadmap to one-on-one networking that makes everyone happy, plus tips for keeping communication open for the long haul, AND the definitive list of how to (and NOT to) cash in on your connections.